A fitting tribute to a local legend or a grotesque misuse of money? 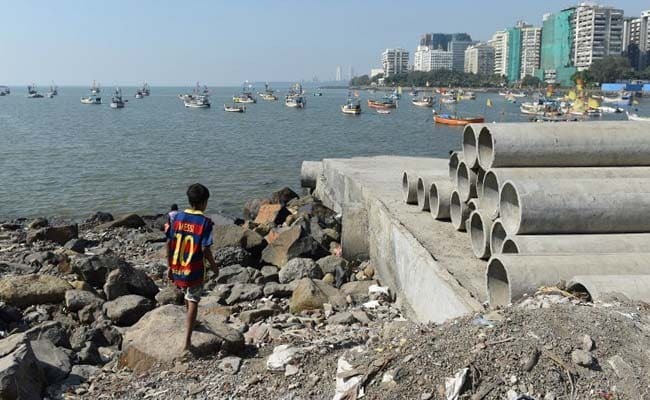 The decision to build the world's tallest statue just off Mumbai's coast has divided the city. But the traditional Koli community, who depend on fishing for their livelihoods, fear they will be worst hit by the construction, warning that it threatens their centuries-old existence. India will spend 3600 crore rupees or $530 million on the controversial memorial to 17th century Hindu warrior king Chhatrapati Shivaji. Prime Minister Narendra Modi laid the foundation stone in December. At 190 metres, it will be twice the height of America's Statue of Liberty and almost 40 metres taller than the world's current tallest memorial -- a statue of Buddha in China. 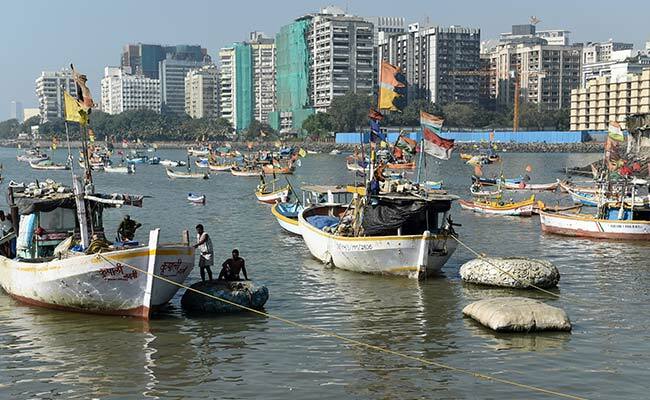 The Koli fishing community, Mumbai's original inhabitants and whose goddess "Mumbadevi" lends her name to the city, say the decision to build it on a rocky outcrop a couple of kilometres off the coast will sound the death knell for their traditional way of life. 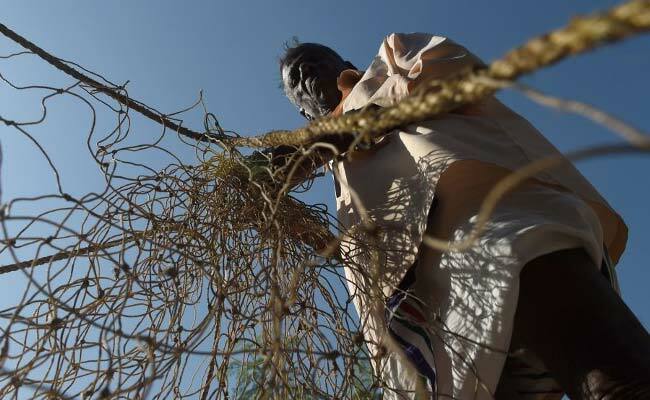 "The breeding ground for fish will be completely destroyed," Krishna Tandel told news agency AFP, unfurling a net at Machhimar Nagar bay, which is tucked behind the high-rises of Mumbai's southern financial district. The project has divided India's commercial capital and highlights an obsession with statues as parties seek to appeal to regional identities. Supporters say the memorial is a fitting tribute to someone many locals consider a hero of Maharashtra. Shivaji fought the Muslim Mughal empire, is revered by the Maratha caste and trumpeted by Hindu nationalist politicians. Opponents insist it is a gross waste of money which would be better spent on improving health, education and infrastructure in the teeming metropolis of more than 20 million people. A petition on the change.org website opposing the bronze statue, which will depict Shivaji brandishing a sword while charging on a horse, has received almost 43,000 signatures. Residents say disruption caused by construction will decimate their fishing stocks - including pomfret, Bombay mackerel, seer fish, prawns, and crabs - while heavy traffic ferrying tourists from three terminals will block access to the sea and disrupt wave patterns. "We have been fishing for generations. It is our business and now our livelihoods are at stake," 32-year-old Tandel says, demanding the statue be built on land. Environmentalists agree that the project, which is due to be completed by 2021, will cause immense harm to a vibrant marine ecosystem. "There's a huge diversity of fish, fauna and invertebrates there. Fish catches, sewage, and tidal currents will change," wildlife biologist Anand Pendharkar told AFP. "It's going to affect the food base of the city, it's going to affect the economy. There is going to be a huge amount of damage." Critics question why Mumbai needs such a lavish statute when the city already has several smaller Shivaji memorials. The city's airport, main train station and museum are named after the Hindu hero while there is also a Shivaji Park. IndiaSpend, a non-profit data journalism website, estimates that a micro-irrigation project could provide water to thousands of farmers in the drought-prone state for the cost of building the statue. For the same sum, dozens of decaying Shivaji-era forts could be restored instead, it says. The Bharatiya Janata Party-led Maharashtra government dismisses environmental concerns and say the project will draw 10,000 visitors every day. Shaina NC, a spokeswoman for the BJP, claims it will be an "iconic" memorial akin to the Statue of Liberty that will make its money back through tourism. Shiv Sena spokesman Sanjay Raut says the sea is the best site because Shivaji created India's first navy. The development comes as the BJP government in neighbouring Gujarat builds a 182-metre statue to Vallabhbhai Patel, who was one of the most senior figures in the independence movement.